Provides a close and accurate shave. 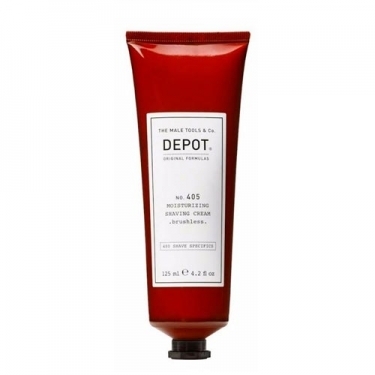 DESCRIPTION: Nº 405 Moisturizing Shaving Cream from Depot is a shaving moisturizer. Combination of coconut oil and sweet almonds, aloe vera juice, botanical complex (extract of 10 plants), mint, methyl lactate and allantoin, for a nourishing, soothing, toning, refreshing, restorative and protective action. Moisturizes, refreshes and tones the skin. Mutes and prevents redness Skin irritation. It facilitates shaving, allowing the blade to slide more easily. Repair the skin barrier. Allows a close and precise shave.